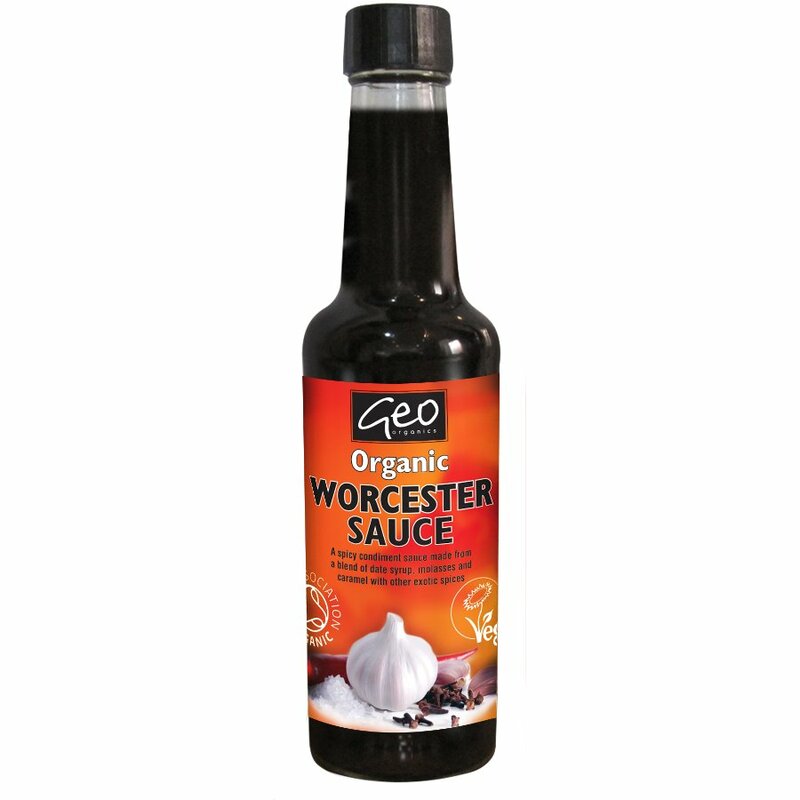 142ml organic, vegan friendly Geo Organics Worcestershire Sauce. Spirit Vinegar*, Water, Fairtrade Raw Cane Sugar*, Molasses*, sea salt, Date Syrup*, Caramel Syrup*, Chilli Powder*, Garlic Powder*, Ground Cloves*. Made in a factory that handles dairy products. Not suitable for those with allergies to dairy. Shake well before use. Once opened keep refrigerated and consume within 8 weeks. The Geo Organics Worcester Sauce 140ml product ethics are indicated below. To learn more about these product ethics and to see related products, follow the links below. There are currently no questions to display about Geo Organics Worcester Sauce 140ml.